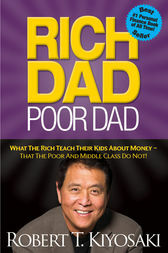 In Rich Dad Poor Dad, the #1 Personal Finance book of all time, Robert Kiyosaki shares the story of his two dad: his real father, whom he calls his poor dad,’ and the father of his best friend, the man who became his mentor and his rich dad.’ One man was well educated and an employee all his life, the other’s education was street smarts” over traditional classroom education and he took the path of entrepreneurshipa road that led him to become one of the wealthiest men in Hawaii. Robert’s poor dad struggled financially all his life, and these two dadsthese very different points of view of money, investing, and employmentshaped Robert’s thinking about money. Very relevant information and one of the most important books for those wanting to have their own business. Gives valuable information why it&#x27;s imperative in today&#x27;s world to be your own boss! A must read! The book is incomplete as I believe there are more pages.